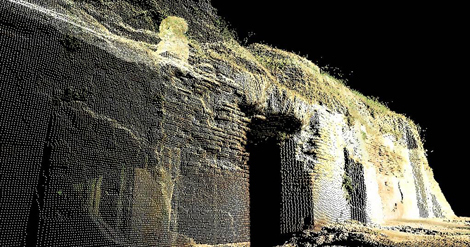 Archaeological data are inherently three-dimensional and we draw on a variety of laser scanning tools to record the shape of objects and excavated areas at Portus. 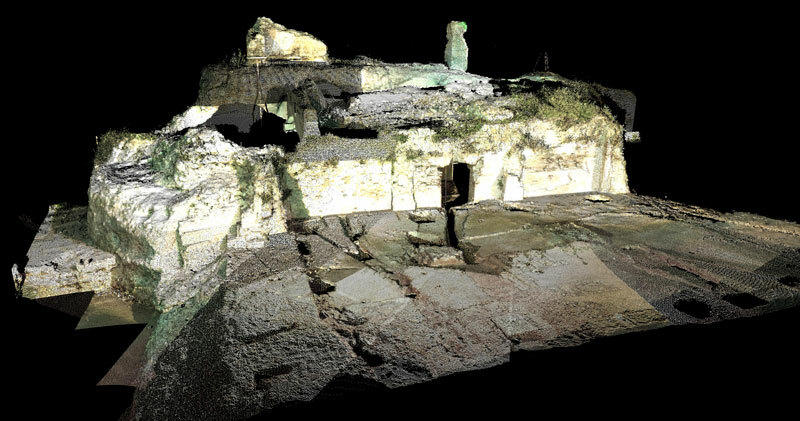 In collaboration with the School of Geography at the University of Southampton, we have used a terrestrial laser scanner to record the excavation of parts of the Palazzo Imperiale and the Building 5. 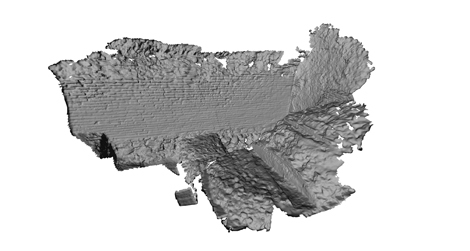 For example, the scans combined with other survey data allow us to accurately visualise the excavated remains of one of the enormous piers that once supported the eastern sector of the Palazzo Imperiale. They have also proved invaluable for simulating the full height and mass of the building in antiquity. 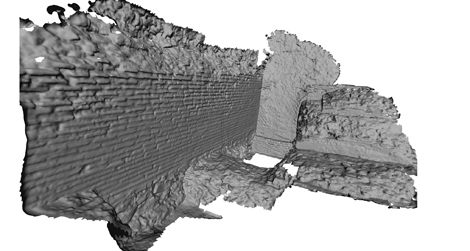 We have employed much higher resolution laser scanning to document subtle features on the harbour moles (walls) and architectural details around the site. As well, the same scanner has been used to record finds such as brick stamps, marble inscriptions, and the statue head. In the latter case, this has enabled us to produce copies using 3D printing.